PERMASHIELD BASE is a single component, hydrophobic, water based polyurethane designed to provide a pin-hole free coating on natural substrate surfaces. A pin-hole free surface is required when using the PERMASHIELD PREMIUM Graffiti Control System. 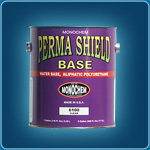 PERMASHIELD BASE is available in clear base, white base and can be tinted to any color using universal colorants. It is designed for application over porous and textured substrates such as split-face block, mammoth block, CMU, stucco, and other permeable substrates. PERMASHIELD BASE is packaged in one-gallon cans and 5-gallon pails. ITEM NO. 6100 PERMASHIELD BASE CLEAR BASE *SHORT-FILL: 8 ounces per gallon (120 ounces/gallon)shown here. ITEM NO. 6150: PEPERMASHIELD BASE WHITE BASE *SHORT-FILL: 6 ounces per gallon (122 ounces/gallon)not shown, if you need a pigmented product please contact our sales Representative who will take your order directly. SURFACE PREPARATION: Surface preparation is critical to product performance. All surfaces must be clean and dry before application. Remove efflorescence, scum, algae, mildew, curing compounds, release agents, oils, grease, or any other contaminants. The moisture content cannot exceed 15% prior to application. The surface and air temperature must be between 50°F and 90°F for a proper application. Concrete or Masonry Surfaces must be structurally sound and cured for a minimum of four weeks before application. We require an application of AQUASEAL ME12 water repellent on all unsealed/unpainted concrete and masonry surfaces to prevent moisture from seeping in behind the surface. 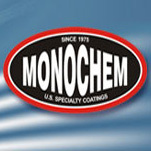 A minimum of two (or more) coats are required to achieve a pin-hole free surface. The re coat time is about 2 hours. Full cure is 36-48 hours, depending on temperature and humidity. 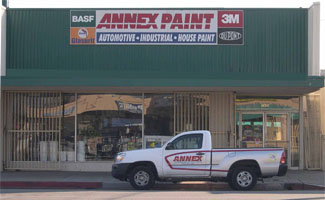 *ALWAYS TEST each surface to be treated to ensure the adhesion and the desired results. Do not dilute; use as is. APPLICATION: PERMASHIELD BASE may be applied by brush, trowel, short nap roller or spray. Work material well into all crevices and depressions. For spray, use heavy duty electric airless spray equipment with a tip size of 0.021 to 0.025 and a 800 psi minimum gun. For best results, roll the sprayed surface with a short-nap roller to produce an even, smooth surface. MSDS's are available at the manufactures web site.